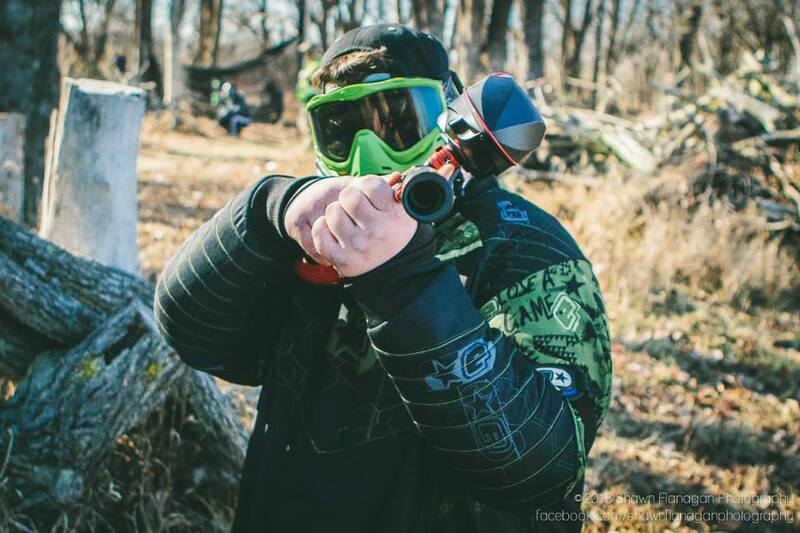 Rapidly growing in popularity, paintball is played in at least 70 countries outside of the United States, and there are numerous playing fields (both indoor and outdoor) open year around. 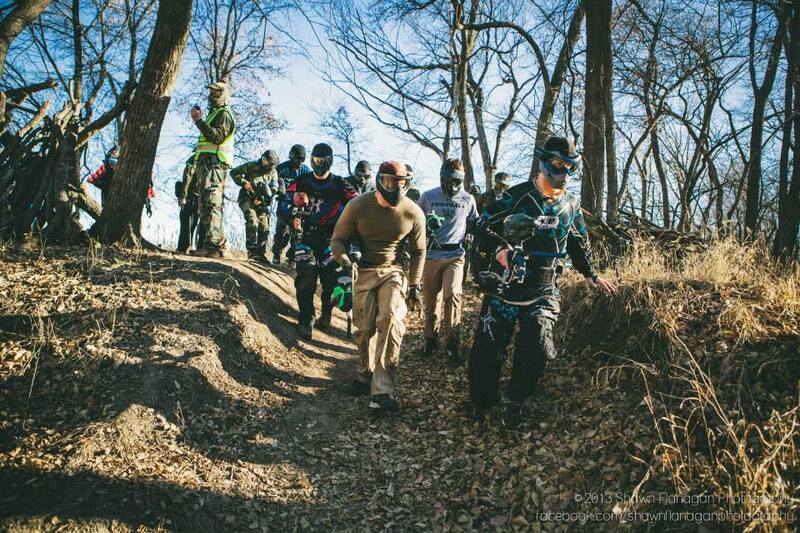 For the tournament player, there are several tournaments every weekend during the prime (summer) playing season, with worldwide paintball organizations and affiliations sponsoring prizes ranging from trophies to equipment and cash in value from $80 to $100,000. WHO IS THE “TYPICAL” PAINTBALL PLAYER? People, from all walks of life, play paintball. As paintball involves roles suitable for every type of person, ages vary from young children to elder adults. Children and adults, young and old, male or female can be seen together on the field at any given time. Even some persons with physical disabilities play. Most people already participate in a sport that is less “safe” than paintball, like football, basketball or even fishing. Industry safety standards like paintball masks, barrel plugs, and limits on paintball gun velocities help prevent injuries. The fact is that less than 1 person out of every 4,000 who play paintball will end up having to go to the doctor for a paintball-related injury. This includes things like ankle sprains or scratches from falling in the woods, not just injuries directly related to paintball pellets. On the other hand, 1 in 33 people who play football will end up visiting the hospital each year. If the rules of paintball (which are covered in the safety briefing) are followed there are no injuries. The shell of a paintball is made of gelatin, and the filling is made up of non-toxic, water-soluble ingredients. All ingredients are biodegradable. See how paintballs are made (by the Discovery Channel) There are other paintball videos on the same page, please keep in mind, some people do some very stupid things. These videos also show why you should be playing at a field instead of the backyard. WHAT DO PAINTBALL GUNS USE TO SHOOT THE BALL? Paintball guns can use CO2, compressed air (CA), or nitrogen (sometimes also referred to as compressed air since the composition of atmosphere is about 70% nitrogen) – all of which are very safe for people to use. Ages 10 and older. Our insurance will not cover anyone under 10. Honestly, sometimes. 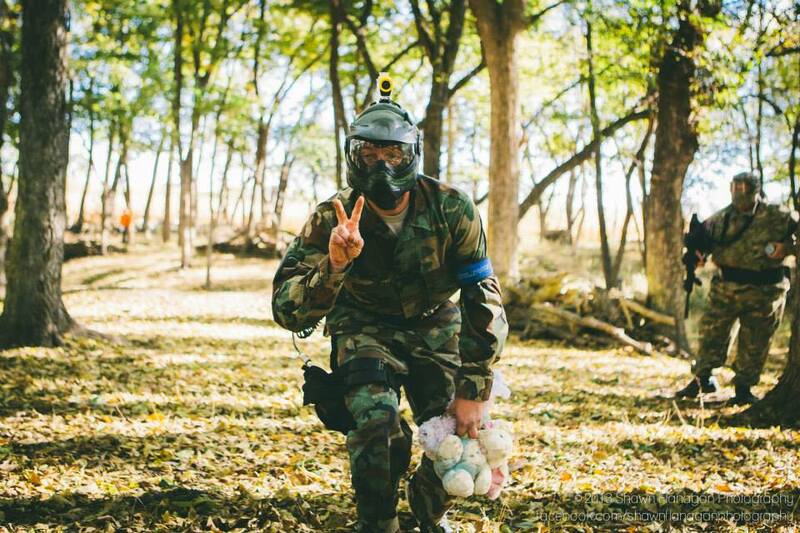 It depends on how fast the ball is traveling, where it hits, whether it breaks or not (balls that just bounce off tend to be more painful), and what kind of clothing the paintball player are wearing. Sometimes people don’t even feel a hit. But even when it does hurt, it is usually just a quick sting – the kind of thing that makes a person say “Ow!” and then forget about a few seconds later. Some hits come back to haunt paintball players hours, or even a day, later – as bruises. These bruises might feel a little sore or tender to the touch. Fear of pain is probably one of the biggest factors stopping people from trying out paintball, when it shouldn’t be. Yes, occasionally more serious injuries occur, but they are rarer in paintball than in most other sports. If someone bruises more heavily than other people, wearing layers or using a vest can make a big difference. I HAVE SOME OLD PAINT IN THE BASEMENT, CAN I USE IT? No, we do not allow paintballs brought in from anywhere else, we a re a field paint only field. Anyone caught playing with paintballs other than those we sell will have them taken away and the offending people/person will be removed from the fields. WHY DO I HAVE TO PAY FOR CO2 FILLS? As with may things now days, the price of CO2 has gone up. As of May 1, 2009, your first CO2 fill will be free, then each additional fill we will be charging $1 per bottle for 9oz & 12 oz, and $2 f or 16oz & up. Compressed air fills will continue to be free. WHY SHOULD I BUY PAINTBALLS AT THE FIELD? Our paintballs are fresh, usually manufactured within the past month or so. We keep our paintballs in a climate controlled building to help keep it fresh and keep it breakable. We offer a quality paint at an affordable price. The purchase of our paintballs also helps to fund the improvements to our field & pay our Ref’s. Anyone caught playing with paintballs other than those purchased here, the paintballs will be dump into the trash and the offenders will be removed from the fields. Old but comfortable clothing, nothing tight. You will get dirty. Old football/baseball/soccer cleats are nice but not a necessity. (NO Steel Cleats) A baseball cap is a good idea, worn backwards it helps to keep the mask more securely in place. Light weight gloves are a good idea especially in cooler weather but are optional. You may want to bring extra clothes to change into, if you worry about getting your car dirty. Please, NO FACE-PAINT if your using our rental masks. Some colors are hard to get out, such as pink. The sooner the items are washed, the more likely it will come out. The more days you wait the more permanent it will be. We use a color that should wash out. I HAVE NEVER PLAYED BEFORE, AND I DON’T HAVE ANY PAINTBALL EQUIPMENT, WHAT DO I NEED? We offer a rental package, which needs to be reserved at least a week in advance. 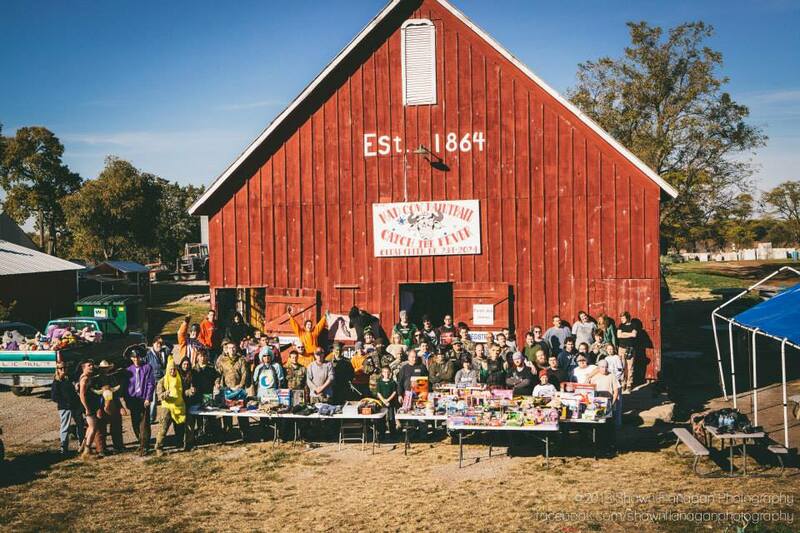 Our rental package includes; entry, the mask, the marker (the paintball gun), all day air, and 500 paintballs. You may be asked to put a $5 per person deposit on your reservation. I PUT A DEPOSIT ON MY RESERVATION AND NOW I DON’T WANT PLAY, IS IT REFUNDABLE? Deposits are non-refundable for no shows. We play through rain and snow, but we do call everyone in if lightning is in the area. If you place a deposit for a group of 20 and only 15 show up, the deposit for the 5 missing players is non-refundable. We pay our Ref’s to be here and when a group or individuals do not show up for their reservation, we still have to pay them to be here. Your deposit will be placed towards your entry upon your arrival. (You put a $5 per person deposit on 5 rentals, each rental will be deducted the $5 upon entry). HOW LONG DO 500 PAINTBALLS LAST? Anywhere from 5 minutes to all day, depending on how trigger happy the player is. (Average is about 2 hours of playing). I HAVE MY OWN EQUIPMENT, WHAT WILL IT COST FOR A DAY OF PAINTBALL? With the purchase our paintballs (about $16 for 500 for mid-grade) entry is $10 plus the cost of the paint and tax per person. HOW MANY FIELDS DOES MAD COW HAVE? I AM BRINGING A GROUP OF FRIENDS WHO HAVE NEVER PLAYED BEFORE, CAN WE PLAY WITH ONLY THOSE IN OUR GROUP? Each group is welcome to play on their own or mix in with others. If you decide to stay with only your group, a Ref will be assigned to your group and will move from field to field with you. You may have to wait to use a particular field if it is in use. Once a game is over, your group’s Ref will notify the other players that your group would like to play alone and will also give a time limit for your game (usually about 10 minutes or so per game). DO I NEED TO HAVE A WAIVER SIGNED BEFORE I COME OUT? Every participant is required to have a completed waiver on file before they can play. Participants under 18 must have a parent or guardian sign their waiver as well. The waiver can be found on our web site and submitted online. Also, by filling the waiver out before arrival, you will save a lot of time checking in. DOES MAD COW ACCEPT CREDIT CARDS? DO YOU ACCEPT CHECKS? Yes we accept most credit (not American Express!) and debit cards, as well as cash and check, proper ID may be requested. WHAT CAN I EXPECT TO GO ON WHEN I SHOW UP TO PLAY? When you first arrive you will be asked for your waiver/or to fill one out. You will sign into a player’s log (which is how we keep track of our rentals as well as the number of players on the field each day. Payment is then calculated. Each participant is asked to have a seat in the theater for a safety briefing. A field safety briefing is required for all new players to the field. The briefing covers some items that are exclusive to our field as well as some basic safety items. All new players will then watch the safety video. Next is the Chrono, each marker is check for its speed. We require that all markers be 285 fps or less. The Chrono ref will help with this procedure. A ref may be assigned to your group or if you are just a few players willing to play with others you will be sent with a group. All groups will have a Ref on the field. When you decide you have played enough, please take your rental equipment back to the barn for return. Then you will need to mark the players log marked that you are done. WHY DO WE NEED REF’S? First, our insurance requires ref’s on the fields with the players. The Ref’s know the rules and are there to ensure they are enforced and to keep your games safe and fun. Many of our Ref’s have been playing paintball for a long time, they know the games. The newer Ref’s are usually paired up with the more experienced Ref’s. Most of our Ref’s have been certified in CPR, and have first aid training. Tipping of the Ref’s is appreciated if you feel they have done a good job, please leave tips at the registration counter along with the Ref’s name. WE ARE COMING OUT AS A PARTY, CAN WE BRING FOOD? You are welcome to bring food and/or drinks. We offer pop, Gatorade, bottled water, candy bars, and jerky. We have a few places within a ¼ mile that serve food as well. You are welcome to bring propane grills to have a small cook out (we just ask that you be careful.) NO ALCOHOL is allowed! OUR GROUP IS COMING OUT FOR A BACHELOR PARTY, CAN WE HAVE ALCOHOL? NO! Our insurance states no alcohol on the premises during business hours! Anyone with alcohol will be asked to put it away until they are finished playing. Also we are a family oriented business, please be a good example! CAN I BRING MY DOG OUT IF I’M JUST WATCHING? NO DOGS please! We prefer that no one bring animals to the fields, they could be hurt. We also have wild animals that frequently come through the area and some diseases could be picked up. Parvo is prevalent to the area, the coyotes carry it. We also have dogs and cats here, and don’t want to worry about them hurting or being hurt by your animal. CAN I SHOOT THE ANIMALS? NO! Shooting the animals will get you more trouble than you are willing to deal with. WE ARE COMING OUT FROM A FAR AWAY CITY, IS CAMPING ALLOWED? Only by reservation no less than a week in advance. Our camping is extremely primitive; we have running water (a hose), restroom facilities (a port-a-potty), no electrical hook-ups, no dumping facility. We can have a bon-fire if there is no wind. WHAT ARE MAD COW’S HOURS? Saturday’s 10am till 7pm, Sunday’s 10am till 5pm, weekdays by reservation only, 1:30 pm till dusk. As the days are shorter during particular times of the year, we will close at dusk if it is before our listed closing time. HOW DO I CONTACT MAD COW?